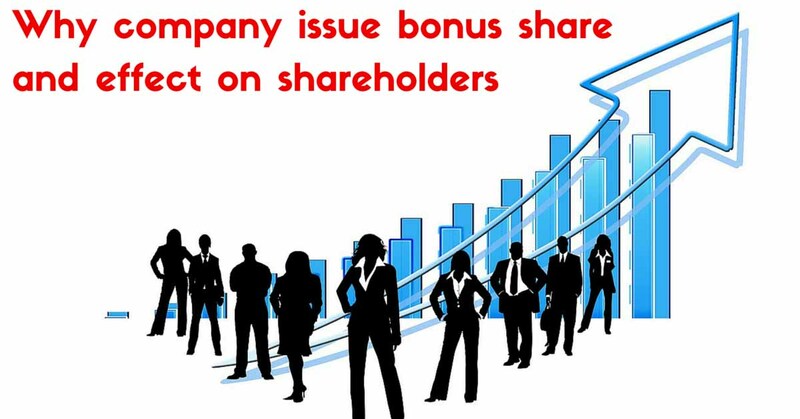 One of the major reasons why companies declare bonus issues is that a higher number of shares improves float and liquidity and thereby traded volumes of the stock. A lower price also makes the stock seem more affordable to small retail investors, who might otherwise give it a miss at high price levels. Another aspect of a bonus issue is that it reflects the confidence of the company in its ability to service a larger equity base. 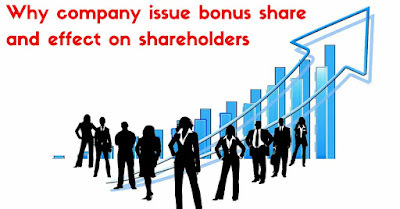 Thus , bonus issues are said to be a good signalling mechanism on the company’s capacity to deliver future benefits to shareholders in terms of increased dividend. For example, a company has an authorized share capital of Rs.1,00,000, it has issued 10,000 shares with a face value of Rs.10 each. Thus, its issued share capital is also Rs.1,00,000. It has an accumulated reserve of Rs.10,00,000. It decides to issue bonus shares in the ratio of 1:1 or “1 for 1”- that is . 1 bonus share for each share held. In this case, it transfers Rs.1,00,000 from its reserves to its issued share capital. Thus, its reserves come down to Rs.9,00,000, and it’s issued share capital increases to Rs.2,00,000 . Using this new share capital of Rs.1,00,000, the company issues 10000 new shares, each having a face value of Rs.10, and gives a new share – the bonus share – for each share held. It is like cutting an eight-inch pizza into 12 slices from four slices before. But if you want to buy the shares of a company which are frightfully expensive, you can now buy them for less. Except for that , in a stock split, fundamental about the company does not change, the issued share capital remains the same, the revenue remains the same, and the profit remain the same tool. But, since the number of shares issued increases, the profit per share (or the Earnings Per Share – EPS) decreases by the same factor. So if EPS is Rs.15 per share for a share having a face value of Rs.10, after a 10:1 stock split, the EPS would come down to Rs.1.5. But since you would be holding 10 shares now, your share of EPS remains the same: Rs.1.5 – 10 shares = Rs.15, which is as before. So if the PE of the stock is 20 in our example, the price would go down from Rs.300 (EPS of Rs .15* PE 20 = Rs.300 per share) to Rs.30 (EPS of Rs.1.5* PE 20 = Rs.30 per share). But again , since you would be holding 10 shares now, your actual holding remains the same :Rs.30* 10 shares =Rs.300, which is as before. So, there is absolutely no change anywhere, except for the number of shares traded. Stock market interprets a stock split as a statement of confidence by the company – it interprets a split as a signal from the company that it is a confident about its future growth. 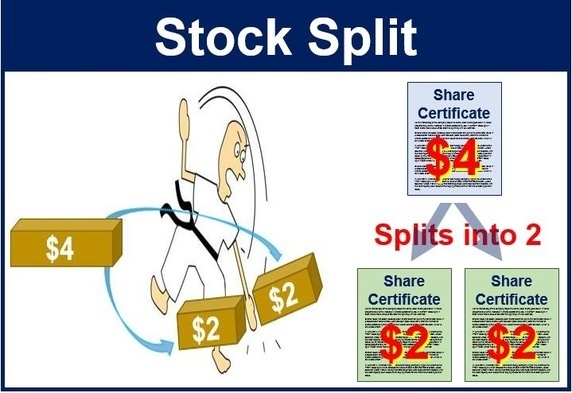 Also, a stock split increases the number of shares traded in the market, which increases liquidity. These factors are considered positive, and therefore the market reacts positively. After split share price is seen increased in case of good companies. That means Rs.900 is quoted for Rs.10 share, after split it may go 100 or 110 . This is also a positive side of split.